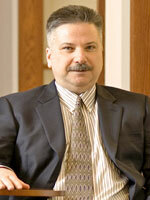 Wayne has more than thirty years of public accounting experience and five years in private industry. Wayne specializes in providing creative tax strategies and ideas to both privately owned and publicly held companies. He has significant experience with tax compliance and provision engagements for large global companies with complex tax issues. Upon leaving Deloitte as a Tax Director in 2004, Wayne founded Boos & Associates, where he continues to provide tax and accounting services to a select group of clients and is Managing Director of the Firm. He has recent SEC experience and significant experience with taxation and planning for publicly held corporations, closely held business owners and high net worth individuals. Wayne is a licensed CPA in the state of California and Nevada. Wayne earned his Bachelor and Master of Science degrees from California State University, Fresno. He is a member of the American Institute of Certified Public Accountants, California Society of Certified Public Accountants and Institute of Management Accountants. Wayne also is a member of the Fresno Business Council, Fresno Chamber of Commerce, Craig School of Business and Fresno Art Museum. Wayne serves on the Board of Directors of the Fresno Business Council and Fresno Art Museum.